The first convoy of Turkey’s new military operation in northwestern Syria is reported to have crossed the border and set up positions in the area. Witnesses say 30 military vehicles escorted by Syrian rebels have entered Idlib province, which is largely controlled by former al-Qaeda militants. 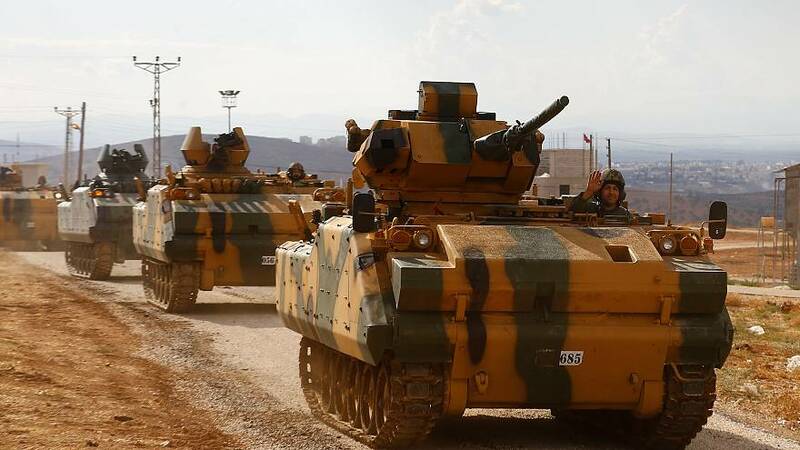 “The allied Turkish armed forces have entered Syrian territory and begun setting up observation posts,” said Mustafa Sejari, an official in a Free Syrian Army (FSA) rebel group. The operation carried out late on Thursday (Oct. 12) is part of a joint plan agreed last month by Turkey, Russia and Iran to set up a de-escalation zone in Idlib and surrounding areas to help bring an end to Syria’s six-year old civil war. Three other such ceasefire zones are already in place in the country: in Eastern Ghouta near Damascus, in central Homs, and in parts of southern Syria. The goal is to contain fighting between Syrian rebels – which include groups backed by Turkey – and Bashar Al Assad’s government, which is supported by both Moscow and Tehran. Turkey has been a big supporter of rebels fighting Syrian President Bashar al-Assad throughout the war. But since last year, Ankara has focused on securing its own border, both from jihadists and from Kurdish forces that control much of the frontier area inside Syria.